I’ve worked with the small but perfectly formed creative agency design146 on many occasions. 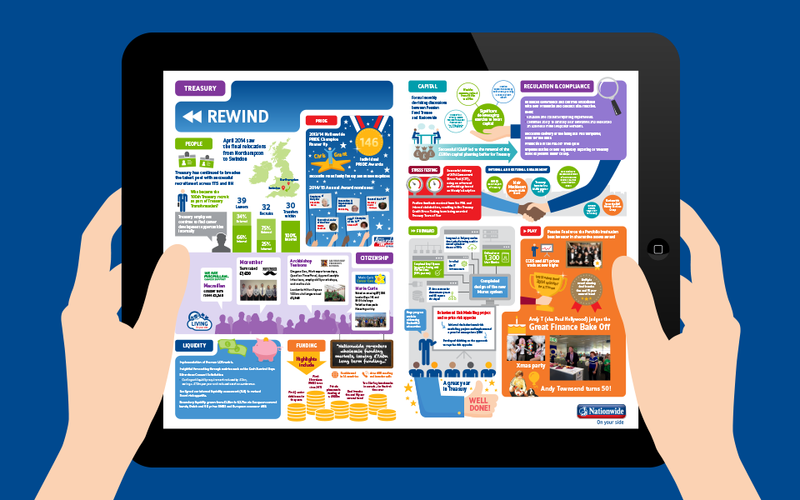 This time Andy and Jess asked me to help create a range of infographics and presentations for Nationwide Building Society. The purpose of which was to help explain complex internal programmes and projects in a simple, visual format.